I cannot say, to even a small degree, that I saw this one coming. We all understand that if the Phillies win three straight and the Yankees two straight, the World Series will feature the two best teams in baseball. All will be right in the world. But if Texas and San Francisco can each win just one more game, we’re going to see a World Series match-up that we’ve never seen before. And we’ll have a World Series champion that has never won it all, or hasn’t won since 1954 (as the New York Giants). Texas holds a stunning lead over New York for one main reason: Yankees’ starting pitching has failed badly. Because they swept the Twins in the ALDS, manager Joe Girardi had the luxury of setting up his rotation exactly the way he wanted it. In Game One, CC Sabathia got the start. 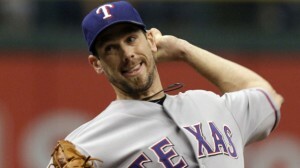 He lasted just four innings and, when he left the game, the Rangers led 5-0. Only an incredible eighth-inning comeback saved the New Yorkers that night in Arlington. NY won 6-5. The Rangers should have been demoralized. They were not. Crazy kids. In Game Two, the Rangers’ offence exploded. Over the next 26 innings, they outscored the Yankees 25-5. They plowed Yankees’ starter Phil Hughes in G2, chasing him with seven earned runs after four innings. Back in the Bronx, while Yankees’ ace lefty Andy Pettitte did his level best, he came up against a buzz saw known as Cliff Lee. Lee struck out 13 and allowed only two hits over eight innings. In Game Four, the Yankees didn’t stand a chance with A.J. Burnett lobbing ’em in from the hill. Friday night’s game is key. If the Yankees win, they build momentum. Today, RF Nick Swisher NYY tweeted, “Great workout today. Let’s get our minds right for tomorrow night. Its do or die time. We are ready.” Problem is, if the Yankees win, they’ll face Cliff Lee in Game Seven. The Rangers desperately need to win Friday night and then Ron Washington can hold Lee for Game One of the World Series on Wednesday in The City by the Bay. 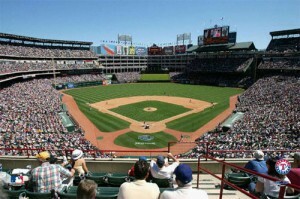 It would be the Rangers’ first trip to the World Series. The franchise, born in 1961, has never been there before. For the first ten years of their existence, the Rangers were the expansion Washington Senators, playing mostly at RFK Stadium. The best season they had in their ten-year run in D.C. was in 1969. 86 wins…but still in fourth place in the American League East. Slugger Frank Howard was their only star. After 1971, with absolutely no fans attending the games, the Senators packed up and moved to the Lone Star State. With the great Ted Williams as their manager, the brand-new Rangers won exactly 54 games. They’ve won over 90 games only twice (and that doesn’t include this year) – but this will be the year they make their first trip to the World Series. And they will deserve it. They’ve outhit the Yankees. They’ve outpitched the Yankees. They’ve outhustled the Yankees. Six of the Rangers’ regulars are hitting over .300 in the ALCS. Mr. Everything, Josh Hamilton, has four home runs, seven RBI and a 1.000 slugging percentage in the LCS. 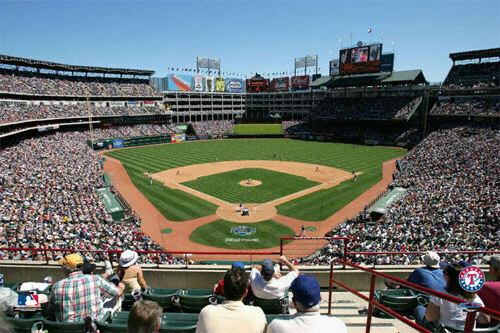 After 49 years of trying, the Rangers are going to the World Series…and it’s startling. 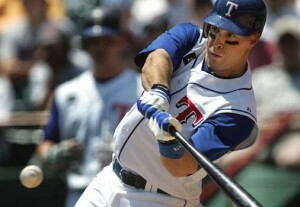 It’s all cool, Texas Rangers can still make it happen. It’s just game 1. Rangers rock! NOT! And what a boooooooring series. Snore. Shave the beard.